It takes a certain kind of person to have a positive reaction when you ask them to run from Chicago, IL to Madison, WI and promise nothing but sleep deprivation and Swedish Fish. The Ragnar Relay is about doing things together that we could never do alone. Reside Living managed to find not one, but 12 residents to join in on the fun. A Ragnar Relay is a 200-ish mile race that starts on Friday morning and stretches through Saturday evening. Every team has 12 runners, with each assigned three legs of varying distances. The total number of miles each person will ultimately run can vary anywhere from nine to 20 depending on how comfortable they feel. A team then gets all the essentials to complete the race which includes but is not limited to — two white vans, head lamps, reflective vests, and some snacks. Next is time to go over strategy, which there is not much of. A runner starts their leg, and their teammates keep up with them in the van. While you are on the run the only two rules are to follow the race signs and always keep in contact with your team. When a runner makes it to the checkpoint, they tag the next person in by passing them a snap bracelet straight out of 1997 and the next runner takes off. Team Reside Athletics was comprised of a mix of veterans and newbies. Training consisted of four mile runs once a week followed by a few drinks and some tacos to refuel. 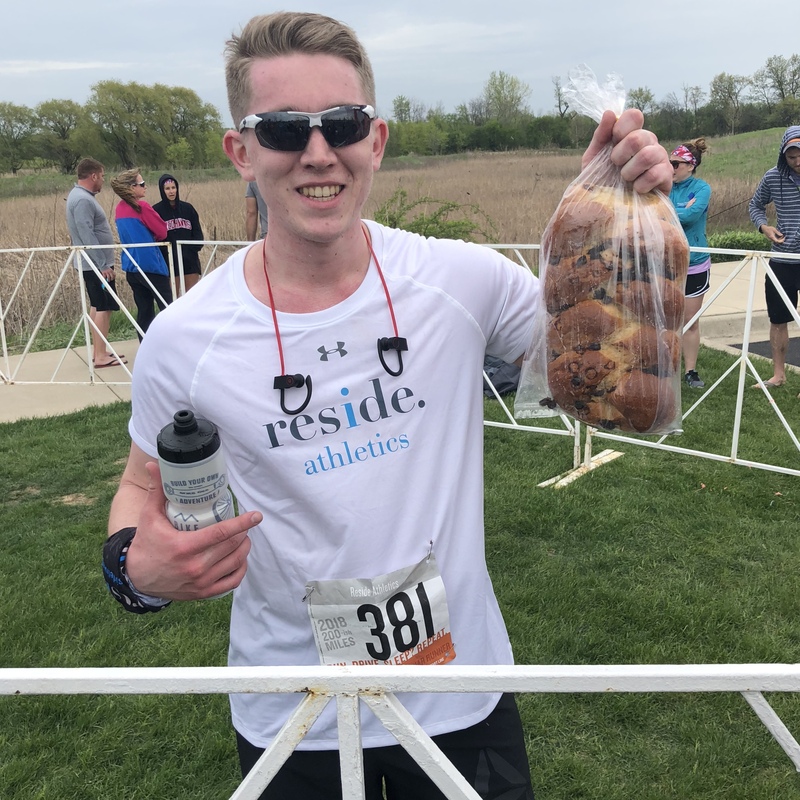 This obsession with food was made apparent halfway through the first day of the race when the members of Van 1 decided their mascot would be a loaf of bread (#TeamLoaf). Van 2 however drew their motivation from the 2002 cinematic classic Bend It Like Beckham, which played continuously in their van throughout the race. If you had any pre-race jitters, those quickly faded when you saw the people you would be racing alongside. 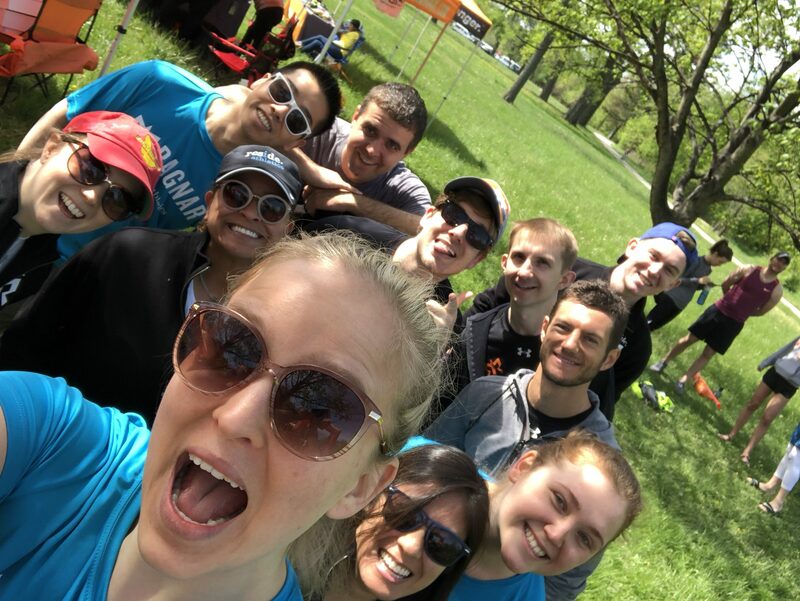 At the starting line, people were dressed head to toe in their favorite breakfast foods, others sang Miley Cyrus songs at the top of their lungs, and some were painting clever team names like The Ruthless Bader Ginsburgs on the back of their vans. At 10:00am, the first wave of runners took off and the race was on. By Friday afternoon, most teams were half way through their first runs and morale was high. This year though all eyes were on weather apps and the oncoming storm. The sun set, the rain came, and before long people were gearing up for their second run. While they might have been cold, tired and sore, if you asked any Ragnar runner, this was usually their favorite run. After a few hours in the van, getting to stretch your legs felt incredible. You started off on your run, and before long the checkpoint was out of sight and you were on your own. Soon all you heard was the crunch of dirt beneath your feet, all you saw was the fog of your breath in your headlamp, and all you had to do was run. Quiet moments like these don’t come often enough in our daily lives, so when they do it is important to appreciate them. By the time the sun started to rise again everyone was beginning their final legs, balancing exhaustion and excitement. As the last runner approached the finish line, the whole team joined them for the final stretch and celebrated together. As any athlete knows, it’s important to race the same way you train, so true to form Team Reside found some beers and food to refuel before the long car ride back to Chicago. Ragnar is a fantastic experience but not without its challenges. It tests your physical and mental strength to keep getting out of that van and back on that trail. But knowing you have the support of 11 other people is motivation enough to make it through. 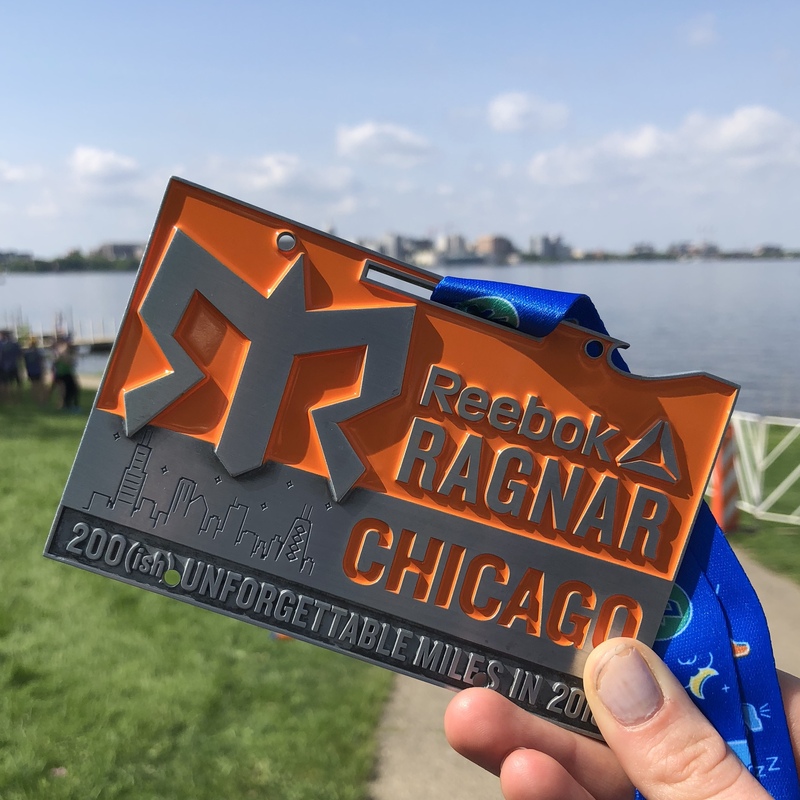 And while it may be important for some to race and get a good time, Ragnar shows us it is more important for everyone to race and have a good time.